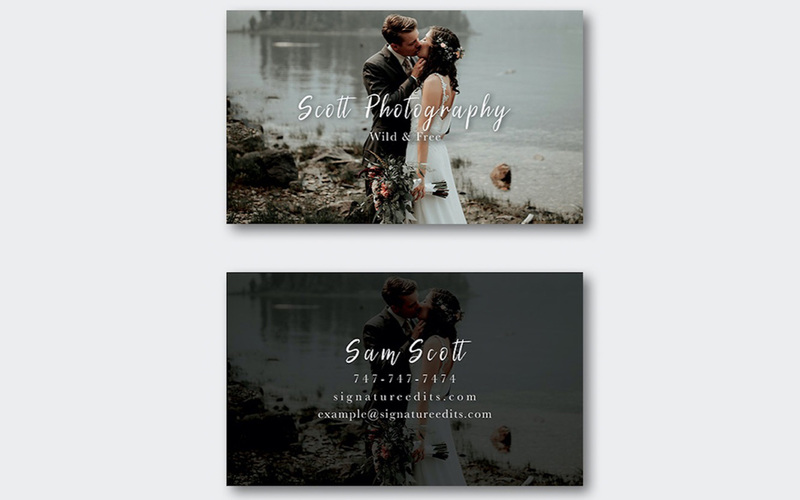 Scott Photography - Business Card Template! When we started our photography business, we searched for hours for a good business card design. The truth is that although there are a million business card designs available online, there aren’t that many business card templates out there for creative people… Or at least, not many card templates that actually look GOOD and aren’t dated. So we put together a few creative business card designs of our own, and we’re giving them away for free for a limited time. These business card templates are PSD files, so you’ll need photoshop to edit them. If you don’t have photoshop, you can always sign up for Adobe’s free 30 day trial! All templates are professionally designed to WOW your clients and give you the best possible results. For more branding materials make sure to check out our Photographer Pricing Guide! Enjoy!